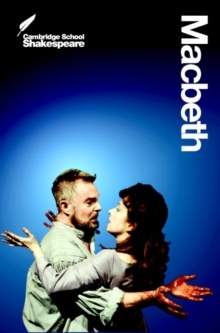 Macbeth is one of the ten most popular titles from the best-selling Cambridge School Shakespeare series now available in a new edition. The new edition includes new and revised activities throughout, new black and white photos from the widest selection of stage and film interpretations of the plays, and a larger glossary providing extra support with the language of Shakespeare. In addition, expanded sections on characters, language, and performance history offer the best support for the KS3 SATs and GCSE coursework. The new edition also includes exciting new features to bring the play to life such as a visually stunning eight-page section packed with full-colour production photographs and a striking new cover design. The new edition remains faithful to the Cambridge School Shakespeare active approach, which treats the play as theatre and the text as a script to be acted, explored and enjoyed. The title has been replaced. To check if this specific edition is still available please contact Customer Care +44(0)1482 384660 or schools.services@brownsbfs.co.uk, otherwise please click 9781107615496 to take you to the new version.